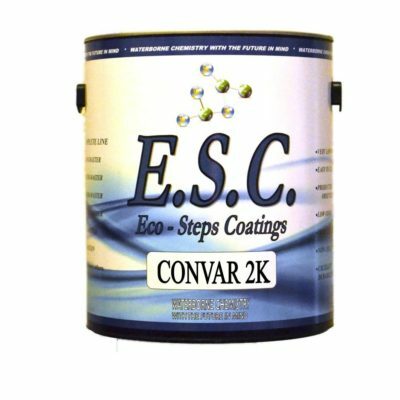 ECO-STAIN CONDITIONER is a waterbased stain controller designed to minimize the blothing associated ..
ECO-STAIN CONDITIONER is a waterbased stain controller designed to minimize the blothing associated with certain species of wood. 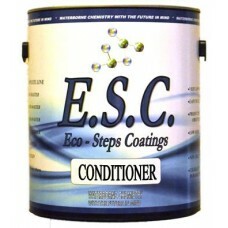 Application: ECO-STAIN CONDITIONER can be brush or sprayed. Apply liberally and wipe off the excess in the direction of the grain. On extremely blotchy wood a second application can be applied. Many find it useful to sand lightly after the conditioner dries with 320 grit. Dry Time: ECO-STAIN CONDITIONER is designed to dry quickly yet give sufficient time to work. Normal staining can be done in 15 to 30 minutes once conditioner is dry. Clean-Up: Clean and flush all equipment with water immediately after use.